What’s more fleeting than the self-satisfaction of buying one of those reusable, collapsible straws on Amazon? Jeff Bezos’ marriage. 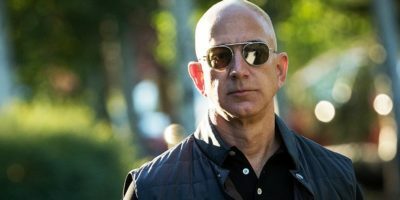 Though Jeff Bezos tweeted that their split was amicable, it’s reported that it has been anything but that. After MacKenzie told her husband last Tuesday that she wanted to separate, he apparently stormed out of the house. “Last night when I walked into the house he didn’t even look up from his Kindle when he said, ‘Alexa, play Gold Digger by Kanye West,’” said MacKenzie.